400x, phase contrast, 3 images combined. Please, click on image to enlarge. Isn’t it a beauty? This is an image that J took of a pollen grain. 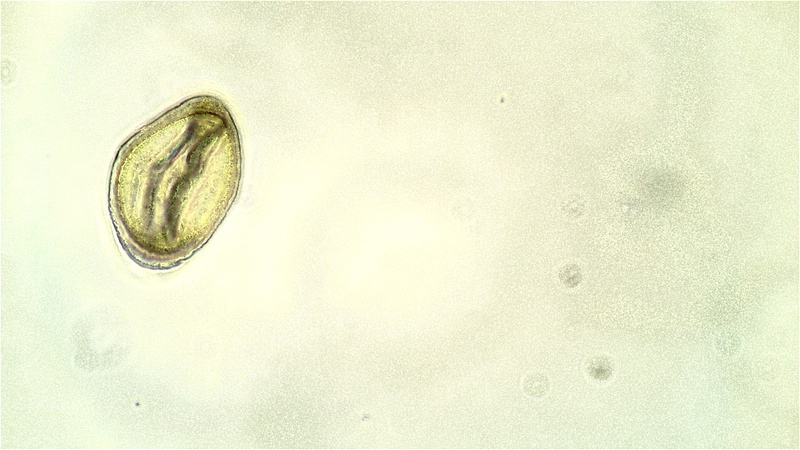 This pollen grain was taken from a pollen pellet (a sample that another beekeeper/scientist shared with us) that the honeybees brought to their hive. We know not from where this pollen grain comes. We have some guesses. 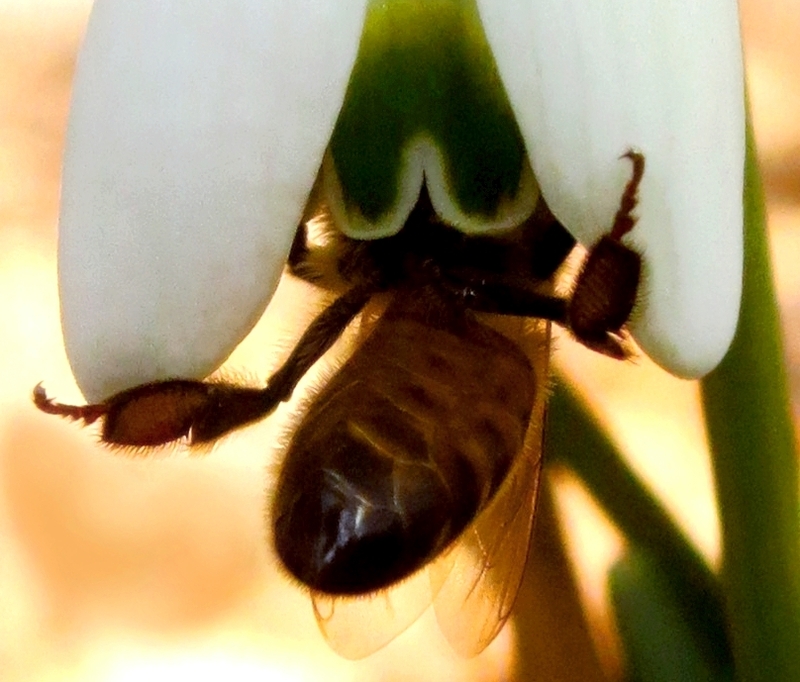 (Galanthus nivalis, the common snowdrop?) In the photos below, you will see us referencing Peter Lindtner’s book “Garden Plants for Honey Bees.” It has great photos and information about forage plants for honey bees as well as images of pollen grains from identified flowers. We’d like to help with research and know for ourselves what flowers the honeybees are visiting in our geographical region, what flower pollen is in our honey, and what pollen helps to flavor our mead. As soon as the flowers begin to bloom again, we’ll be plucking samples to begin the work. If we make good progress with this work, we may be able to track the changes that occur as new plantings on the farm mature. Meanwhile, enjoy the images of our first day with the microscope.